What does it mean to be farming in the midst of climate change? Can agriculture be a part of the solution? 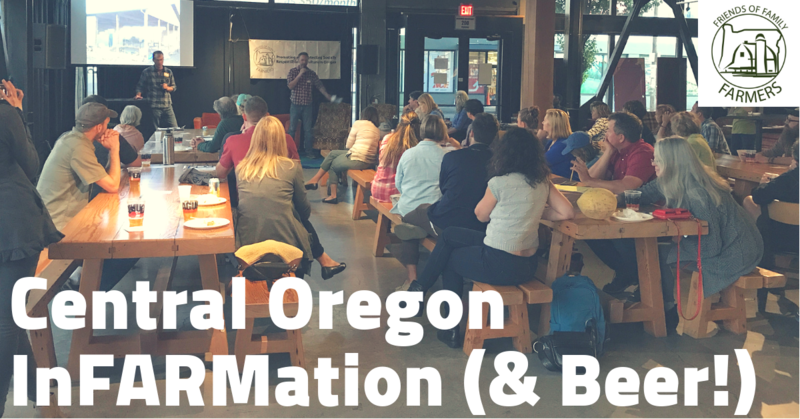 What is your role in building a sustainable food system in Oregon? We will tackle questions like these and more at our upcoming InFARMation (& Beer!) Join us for a fun and informative night where you will hear from a panel of local producers and experts in sustainable agriculture as they address land access, soil health, and more. We will also be presenting on ways that you can be involved in our work on behalf of family farmers and how you can help shape your local food systems. This is a free event. Doors open at 5:30, discussion begins at 6:30. 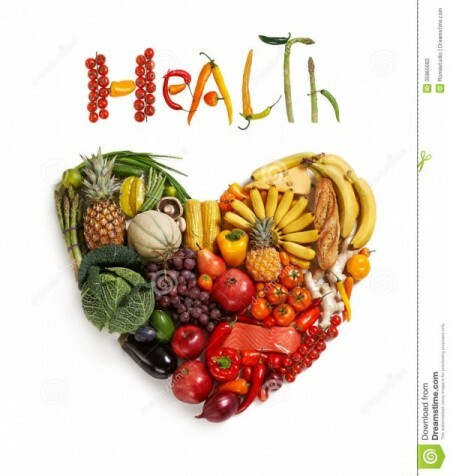 Hippocrates said “Let food be thy medicine and medicine be thy food.” But food can really be a pre-medicine. While it may not posses the almighty power to combat serious afflictions, food most certainly possesses the ability to strengthen the immune system, mitigate obesity related illnesses, and combat the common cold. What’s more, is that consuming a delicious dinner packed with nutrients is exceptionally more enjoyable than swallowing a mouth full of chalky vitamins. Good food leads to good health- of the mind, body, and soul, and members of our community are organizing around this principle. Kaely Summers– Forest Grove Farmers Market Manager and Nutrition Coordinator for Adelante Mujeres since 2011. Originally from Tacoma, WA, Kaely had lived abroad in Peru and Nicaragua and is a former AmeriCorps VISTA volunteer. She began working with nutrition incentive programs at the farmers market and helped establish the Produce Rx program two years ago. Her deep interest in nutrition and food systems fuels her passion for creating greater food access for the entire community. Jeff Johnson– is a naturalist, technologist and lover of life. Early on, his intrigue for life led him to an in-depth study in Ayurveda, metaphysics, and biodynamics. While at university, Jeff’s study of biochemistry led him back to the earth in farming. He explores the boundaries between food and medicine. He teaches to find value and magic in superabundant plants. He studies and teaches to correlate the structure, function and energetics of humans, plants, and soil physiology. Jeff is one of the founders of Rising Stone Farm. Dr. Antonella Aguilera-Ruiz, ND- is a naturopathic doctor and graduate of the National College of Natural Medicine in Portland, OR. She has a private practice in Sacramento, CA where she works with people to heal the root cause of their dis-ease using clinical nutrition, herbal medicine, biotherapeutic drainage and homeopathy. She is also a passionate cook who believes good food is instrumental in creating long term wellness and teaches a variety of healthy cooking workshops and offers private cooking lessons in Portland. FoFF’s long-running InFARMation (and Beer!) educational programming takes place the 2nd Tuesday of every month in the Holocene in Portland. Save the date for a lively discussion on topics related to local food, sustainable farming and building a strong local and regional food system. Preserving the bounty of Oregon’s harvest ensures access to nutritious, local products throughout the year. Canning, freezing, dehydrating, pickling, and fermenting techniques redirect excess produce from the fields to the pantry shelves. Whether taking on the endeavor at home or purchasing value-added products directly from farmers, food preservation keeps the locally grown green beans and peaches on our plates in February. Since 2012, Oregon farmers are allowed to produce and sell certain processed products using ingredients that they grow directly to their consumers. We will learn more about the nitty gritty of the processing, how to acquire the local bounty both in raw and preserved forms, and the rules and regulations governing the preservation methods. Megan Denton- is the force behind Able Farms, where she raises pastured animals & cultivates vegetable and fruit on Sauvie Island. Able Farms is a platform where the culinary, agricultural, and artistic worlds come together to support community. Leah Rodgers- co-owns and operates Rockwood Urban Farm, a highly productive, small-scale community supported endeavor in east Portland. Leah and her partner grow vegetables and flowers using organic methods that are sold directly to restaurants and members of their CSA. Rockwood Urban Farm offers bulk quantities of commonly processed produced as part of their household CSA share. Sarah Masoni- is a Senior Faculty Research Assistant and Food and Process Development Team Manager at the Oregon State University Food Innovation Center Experiment Station. There, she works as a liaison between the university and the food manufacturing industry by managing staff, projects, and budgets at an innovative, leading-edge technology center. She is also a recognized Flavorist with strong relationships with ingredient vendors and flavor companies, and regularly serves as an official judge for local and national product evaluations.